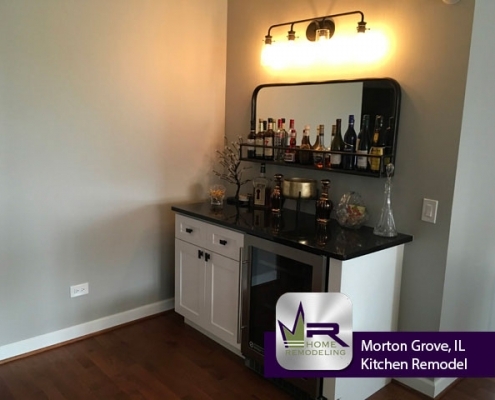 Morton Grove is a charming small town located just 15 miles north of downtown Chicago. 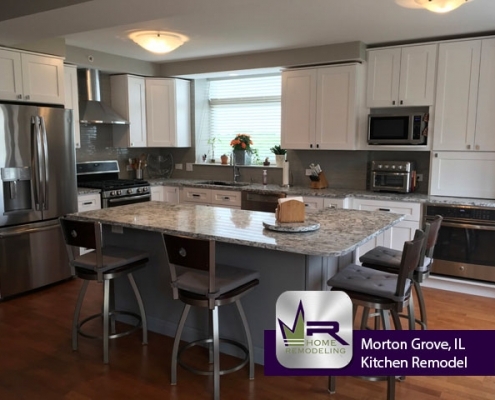 The village is named after Levi Parsons Morton, who was the Vice President of the United States during Benjamin Harrison’s term. 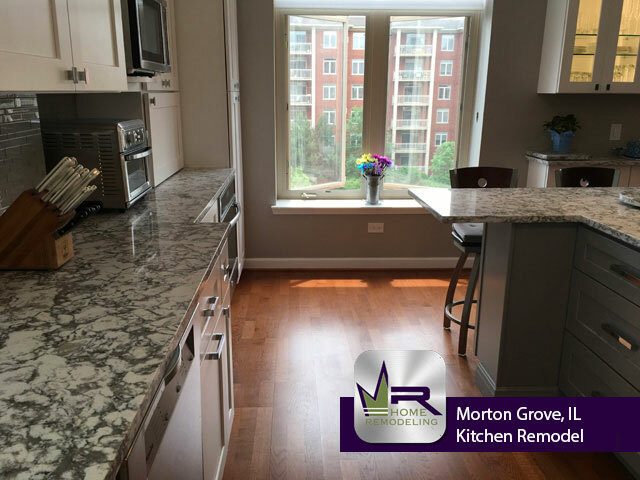 Morton assisted in financing the Chicago, Milwaukee, and St. Paul Railroad which is part of the reason he is so prominent. 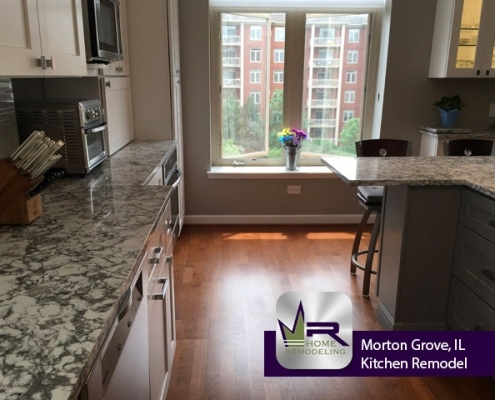 As of 2010, Morton Grove had a population of just over 23,000 people with 5.09 square miles of land, 8,200 households, and about 6,500 families. 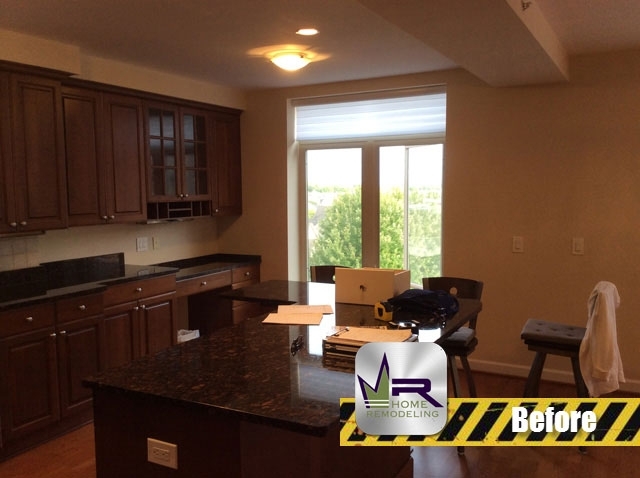 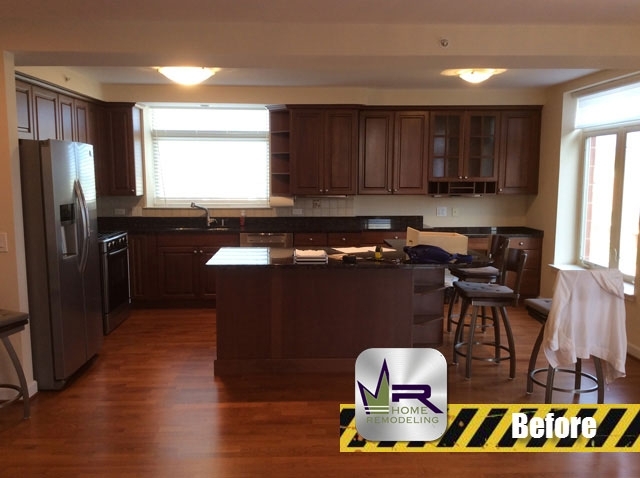 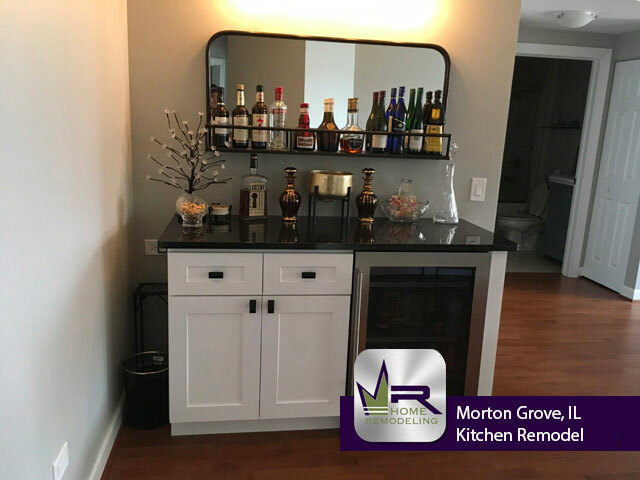 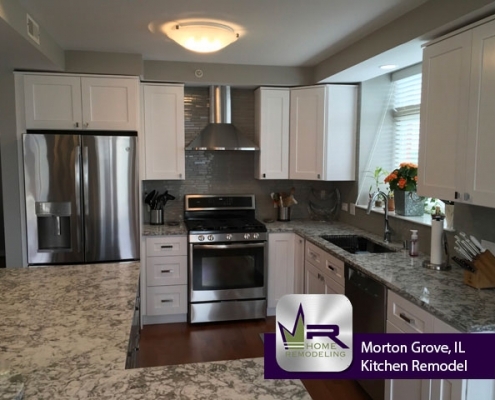 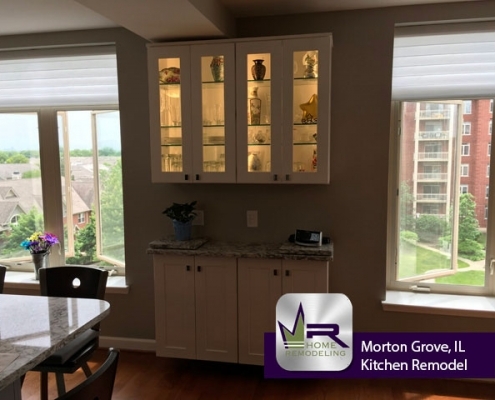 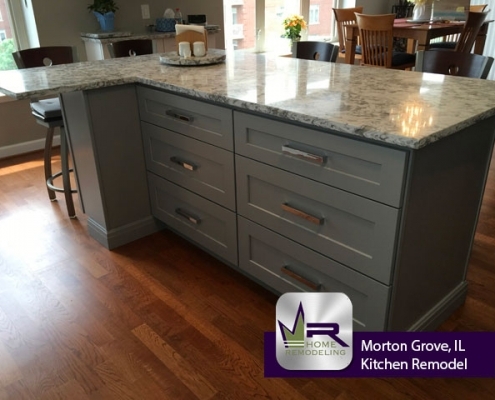 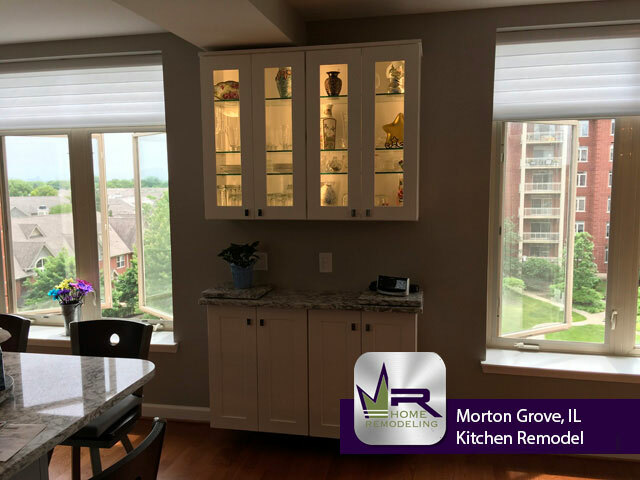 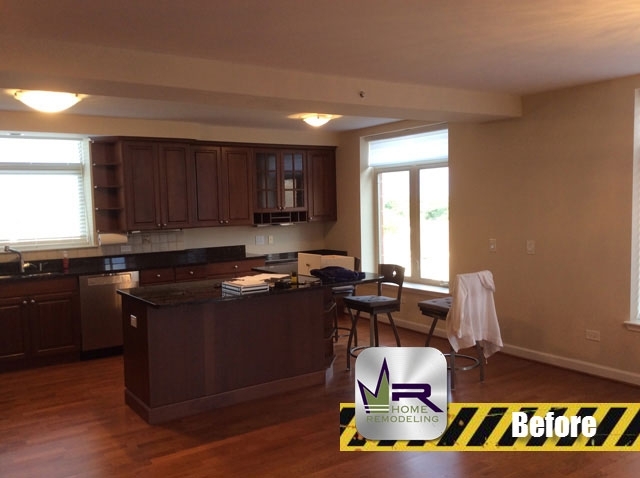 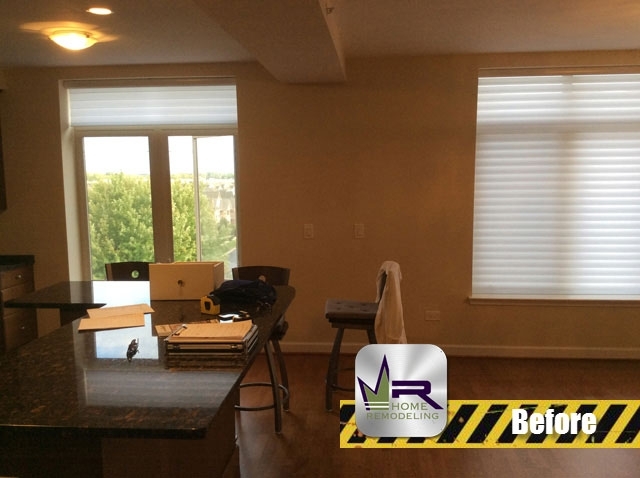 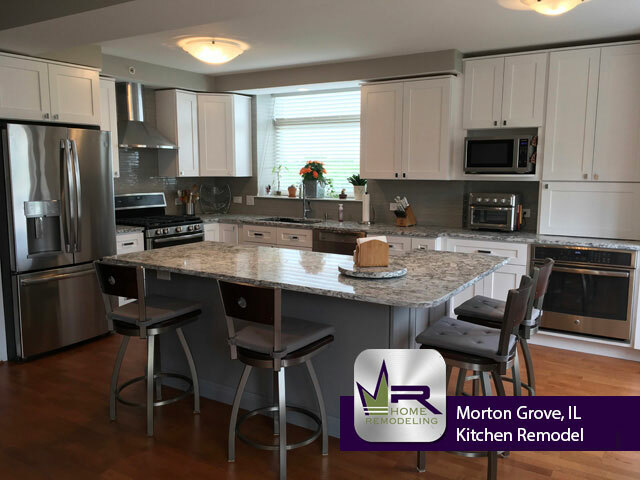 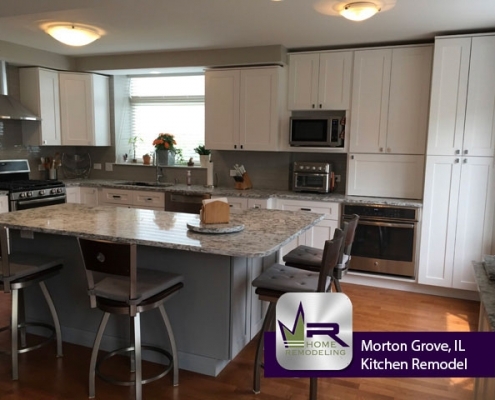 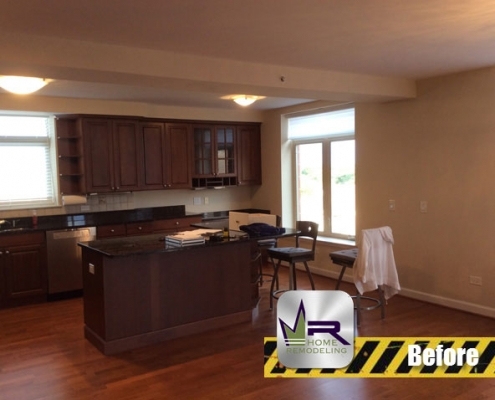 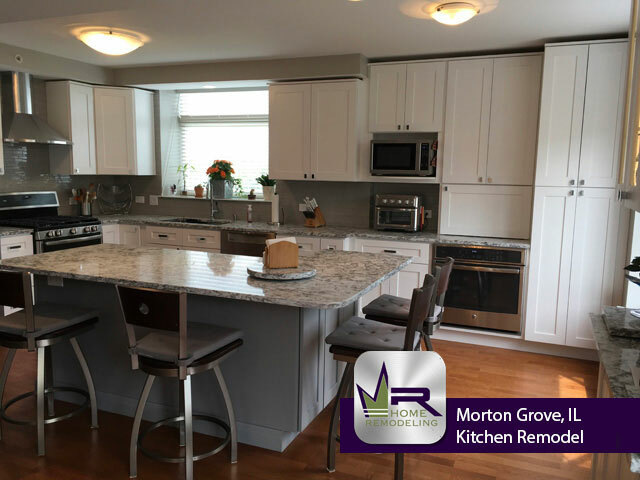 The kitchen in this Morton Grove home was ready to be updated and the customers knew Regency Home Remodeling were the ones for the job. 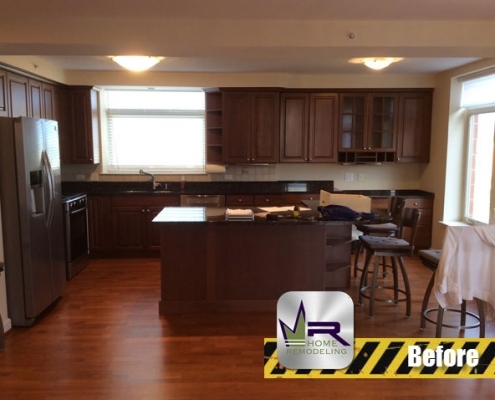 The main issue with the existing kitchen was the overall style. 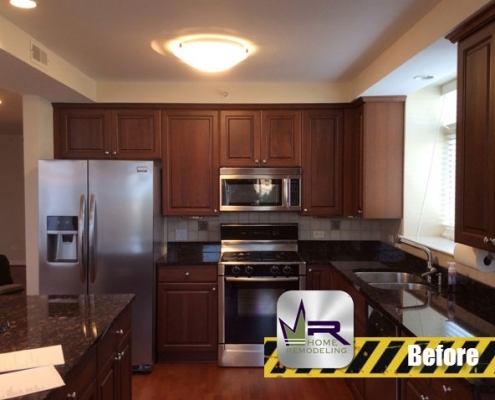 The homeowners wished for a kitchen that was brighter and more elegant. 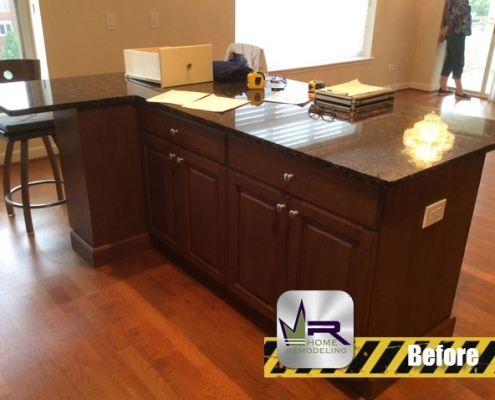 In order to bring the customers dreams to life, Regency would have to remove all existing installations including the cabinets, floor tiling, appliances, lighting fixtures, etc. 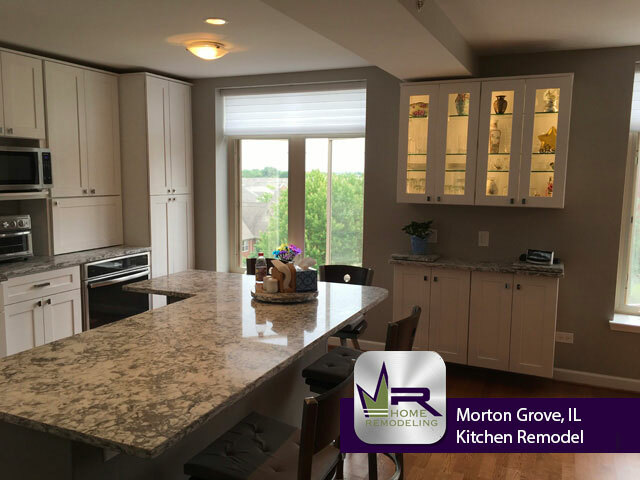 The main goal of this renovation was to create a kitchen that was much more practical and overall more appealing to the customers. 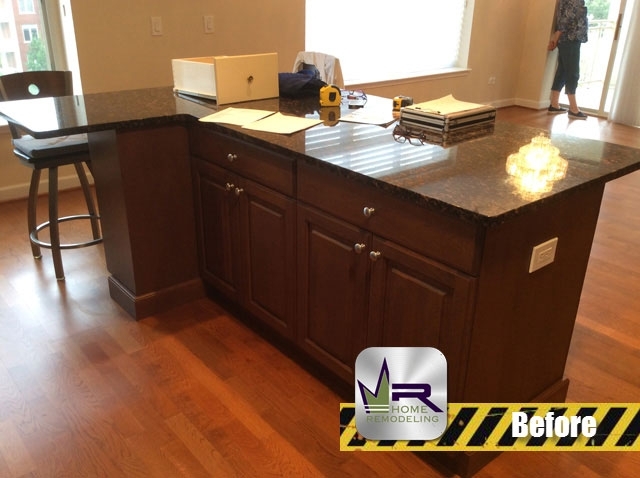 Regency did an excellent job on this kitchen remodel. 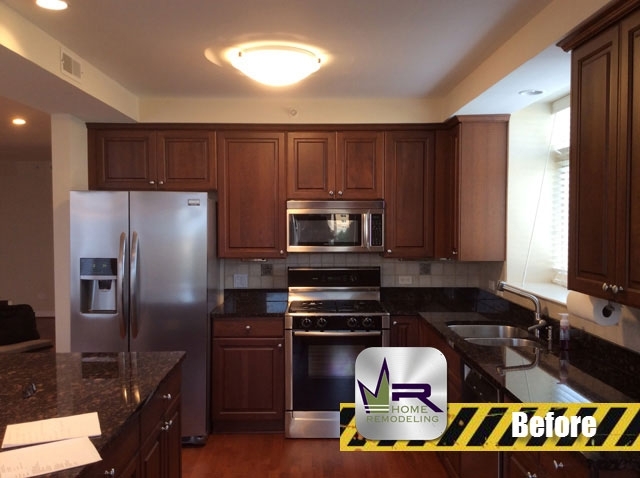 The most drastic change that was made is the new color scheme throughout the kitchen. 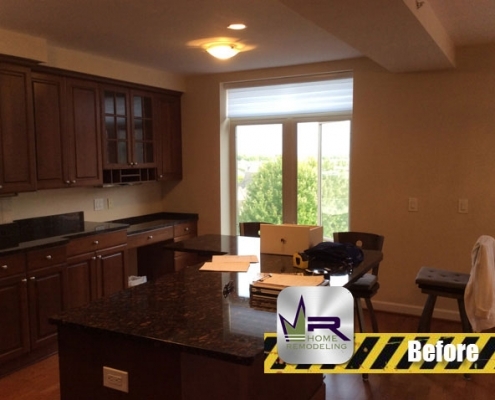 Prior to the remodel, dark colors surrounded the room. 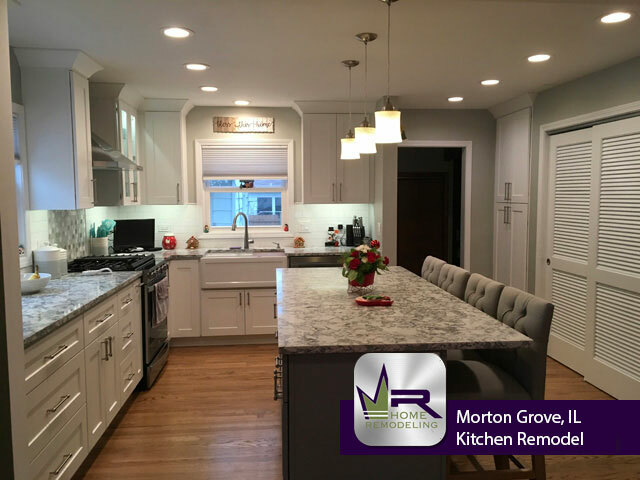 Now, the kitchen is full of white and shades of gray. 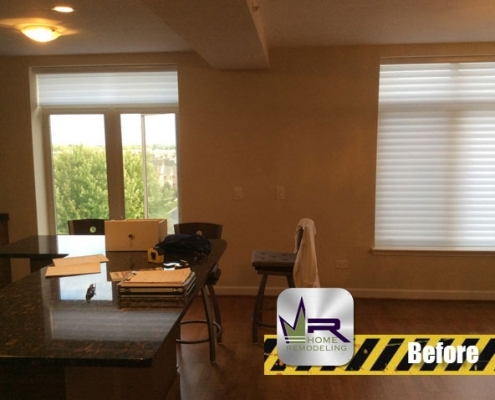 This addition will give the room a natural brightness that the customers wanted. 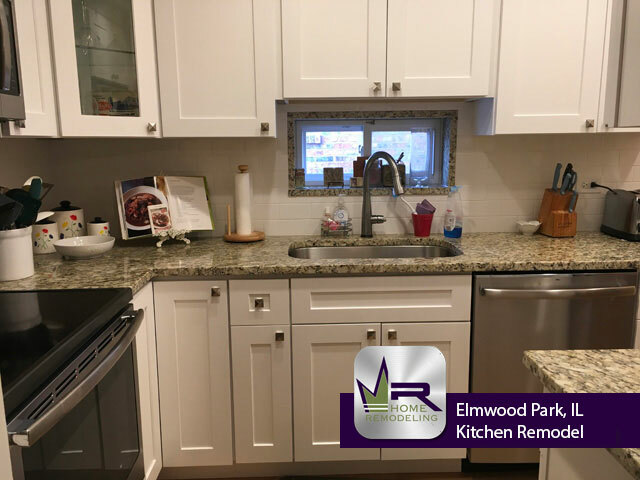 Additionally, more cabinets were installed throughout the kitchen that will make the area much more convenient and practical. For the cabinets, Regency used White Shaker Style cabinets to contrast the gorgeous Cameo Pearl Quartz countertop. 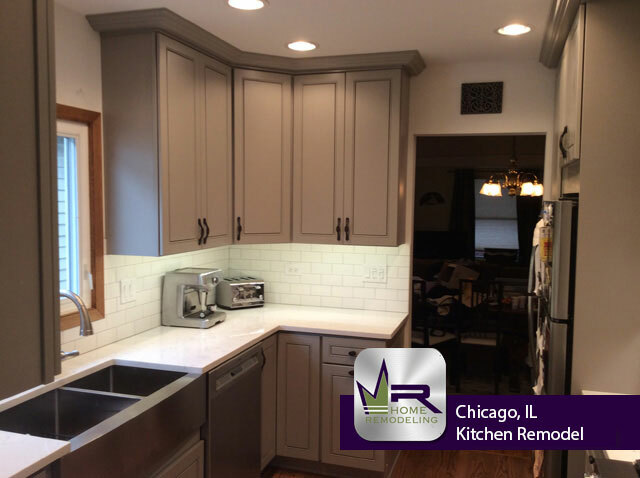 The Amity Grey backsplash perfectly ties the two together. 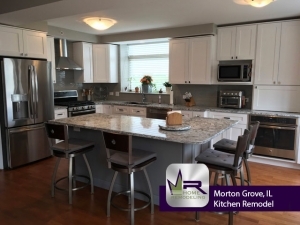 For added luxury, premium stainless steel appliances were installed such as the LG refrigerator, oven, and dishwasher. 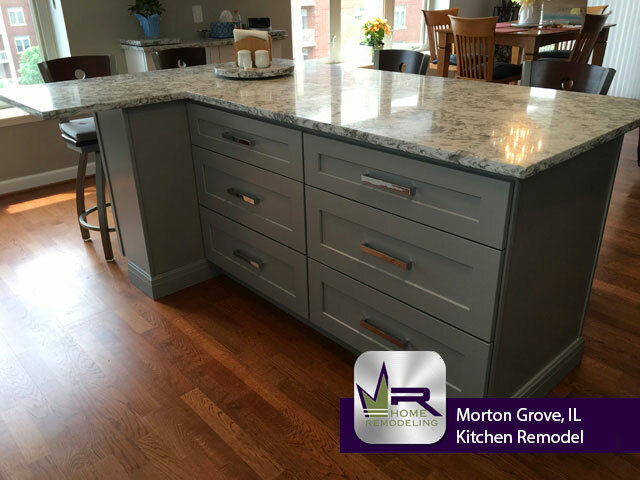 Overall, Regency exceeded the customers expectations by creating the kitchen of their dreams and so much more. The homeowners will be able to enjoy cooking and entertaining in their gorgeous new kitchen for many years to come.